Rocktree is a pure-play specialist in customized and fully integrated dry-bulk commodity logistics solutions - helping its clients to simplify the supply chain while unlocking opportunities. Rocktree provides bespoke logistics solutions to access markets characterized by high technical, operational and/or regulatory complexity - alleviating bottlenecks for producers, traders and end users. Rocktree brings highly-efficient technology and capacity to bulk shipping and transshipment markets - overcoming infrastructure limitations globally to facilitate fast loading rates and quick vessel turnaround in the movement of bulk commodities from producers to consumers. Focusing on unique service offerings, highly reliable and transparent operations and industry leading HSEQ standards allows us to serve you more comprehensively – a value proposition which has led to lasting customer relations. Rocktree is a leading provider of marine dry-bulk cargo handling and delivery solutions. 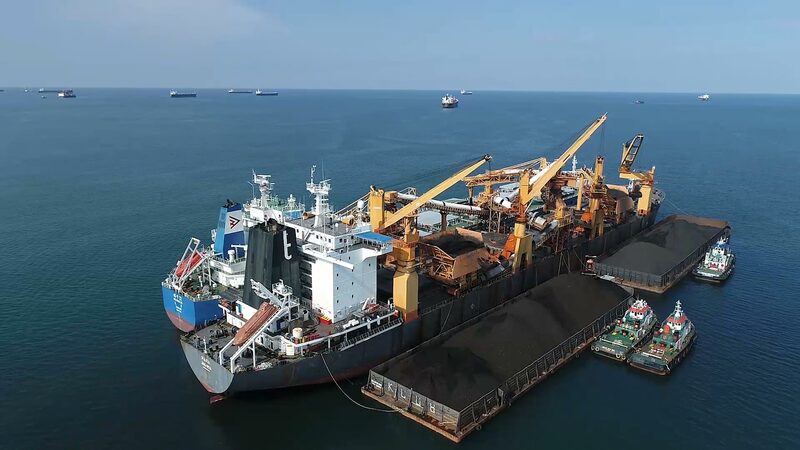 Since incorporation in 2007, the Company has established itself as a market leader in the dry-bulk transshipment industry, servicing international traders, miners and end users with a strong focus on providing innovative solutions. Rocktree’s name comes from a tree that can be seen growing out of an iconic isolated rock in the ocean. A tree that is nourished by small amounts of water and deposited minerals to grow and thrive as a sturdy, yet a flexible element, constantly developing and adapting its structures. Leading the way on standards for the logistics industry, Rocktree is committed to excellence in every endeavor, delivering value-added services through constant innovation, wealth of experience and efficient operations. Having handled over 130 million tonnes of coal since incorporation in 2007, our history can be highlighted by the solutions we have provided, the team we have built and the culture of safety and innovation we have fostered. With best practice standards as constant targets for its business, people and operations, Rocktree enhances operations on a global scale, unlocking opportunities in an ever-changing world of possibilities. Rocktree's biggest strength is the quality of our team and the solutions they provide. The Company believes that human capital is critical to providing innovative solutions and, ultimately, ensuring customer satisfaction. Over the years, Rocktree has been fortunate to attract some of the most talented professionals in the industry. They stay to build rewarding careers because of the Company’s entrepreneurial spirit, a commitment to its people and the high expectation for excellence. Rocktree’s people are its most valuable asset – they are skilled problem solvers that believe challenges can be opportunities. Unlocking opportunities at every stage of the supply chain.